A young man has been charged with desecrating the Quran under Pakistan’s controversial “blasphemy” laws after the Christian had an argument over rent with his Muslim landlord, his attorneys said. Police in Shahdara Town, near Lahore, arrested Khuram Masih, 23, on Dec. 5 and charged him under Section 295-B after his landlord, Zulfiqar Ali, accused him of burning pages of the Quran in order to prepare tea, the attorneys said. Section 295-B makes willful desecration of the Quran or use of an extract in a derogatory manner punishable with life imprisonment. Masih told his attorneys he was falsely accused because he had had an argument with Ali earlier in the day over the rent of the house in which he and his wife, Bano, a convert from Hinduism, have been living along with five other families in recent months. Another of Ali’s tenants, a neighbor of Masih, told the landlord that he had seen Masih and Bano burning the pages of the Quran to make tea and spread the word to other area Muslims, according to the First Information Report (FIR). Soon a crowd of Muslims gathered near Masih’s house and started shouting slogans against the Christians, and Muslim leaders made announcements from several mosques calling for severe punishment of the Christian couple. Ali, the main complainant in the FIR (No. 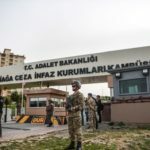 1112/11), states in the FIR that he had the couple arrested after he visited their house and found burned pages of an “Arabic Qaida,” a small copy of the Quran. He states that the first two or three pages were burned and that Masih and Bano had probably used them along with some other materials for a fire to heat up water for tea. Ali states in the FIR that he later realized Bano had no role in the incident, as she was sleeping while Masih prepared the tea. Police released her after questioning. Masih, a low-income laborer, told a legal team from the Community Development Initiative (CDI), an affiliate of the European Centre for Law and Justice, that he had had an argument with Ali on the day of the incident and had found out about the charges only that evening. Masih appeared in court on Saturday (Dec. 24), but the judge did not show up. A trial date is now scheduled for Jan. 7, with a bail hearing set for Jan 3. 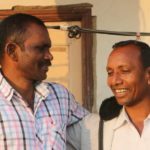 A CDI team member told World Watch Monitor that Masih was visibly shaken by the charges against him and wept as he sought protection for his wife, who is now living with Masih’s relatives. CDI Executive Director Asif Aqeel told World Watch Monitor that his team has appointed Niaz Amer to handle Masih’s case. Christian rights activist Khalid Shahzad told World Watch Monitor that Masih didn’t know about the charges until he went to police to get his wife released from custody. “Masih didn’t even know about the charges until then, because he wasn’t home,” Shahzad said. Shahzad said that soon after news of the alleged desecration began spreading, he and other Christian leaders started efforts to defuse religious tensions threatening the lives and property of between 15,000 and 16,000 Christians living in the Shahdara area. Shahzad said police were hasty in registering the case. “They did not follow the procedure while booking Masih, as no police officer below the level of superintendent of police can investigate blasphemy charges,” he said. Mian Shafqat, officer in charge of the investigation, said that police had seized the allegedly burned pages from the “scene of the crime” and that police had proven that Masih had intentionally burned them. Under Pakistan’s internationally condemned blasphemy laws, conviction under Section 295-C for derogatory comments about Muhammad is punishable by death, though life imprisonment is also possible. Section 295-A prohibits injuring or defiling places of worship and “acts intended to outrage religious feelings.” It is punishable by life imprisonment, which in Pakistan is 25 years.